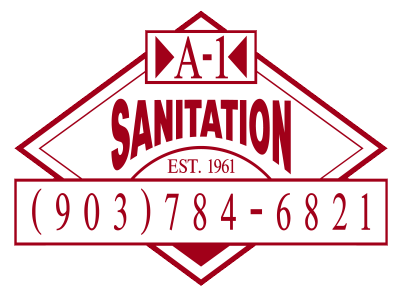 A-1 Sanitation specializes in Commercial Non-Hazardous Pumping. We service lagoons, waste water sumps, clarifiers, municipal sewer treatment plants, municipal water treatment plants, lift stations, wet wells, package plants, grease traps, power plant cooling towers and sumps, raw water basins, and many more. We offer two 3000 gallon high powered vacuum trucks capable of operating at a continuous duty of 440 CFM. Our Dominator trucks are equipped with hydraulic tank lifts that allow us to offload material like a dump truck. The rear of the tank is equipped with a hydraulic rear opening door for offloading mud and sand. For those tough jobs our trucks are also equipped with hydraulic vibrators or “shakers” and 2000 PSI pressure washers. Whether you need 5 or 500,000 gallons pumped, no job is too big or too small. No one in this area has more vacuum truck experience than A-1 Sanitation. We have been in business since 1961 and provide technicians that are courteous, well trained and take pride in their work. We are the Pros for your commercial pumping in Paris.